Welcome to the WSU Puyallup Ornamental Plant Pathology program. 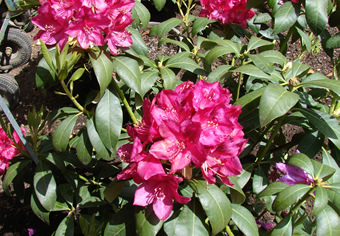 Our program conducts research relating to diseases of ornamental plants. Specifically, we focus on ornamental bulb crops, diseases and postharvest keepability of Christmas trees, and diseases of woody ornamental plants such as the invasive Phytophthora ramorum, the causal agent of sudden oak death and ramorum foliar blight. Please explore our website to learn more about our research and extension programs.